Simple Steeps, combined with our modern Steepware® teaware products, make it quick, clean and easy to cold- or hot-brew fresh loose tea on-the-go, harnessing a dynamic spectrum of plant power and restoring your hydration naturally. At Outdoor Retailer this week in Denver, Colo., The Tea Spot is launching Simple Steeps® – loose-leaf fitness tea packets that are crafted with functional benefits and ideal for outdoor adventures and on-the-go activities. The Tea Spot, based in Boulder, Colo., is an artisanal producer of signature blends and single-estate organic teas. The company works to advance healthier living through the everyday enjoyment of whole leaf tea. Outdoor Retailer, which takes place Jan. 25-28 at the Colorado Convention Center, is the premier trade event and community gathering for the outdoor and snowsports industries. The Tea Spot will be in booth No. 21337-SL. Available in five SKUs, each box of The Tea Spot’s Simple Steeps includes five single-serving loose leaf tea packs. The functional botanical blends include: Rise & Chai, Citrus Boost, Flat Belly, Twilight Rose and Matcha. The suggested retailer price is $4.95 per five-serving box. Rise & Chai offers a rich Pu’erh tea boost, blended harmoniously with turmeric and fennel; it’s perfect for starting an adventure-filled day. Citrus Boost, which can be cold or hot brewed, features a lemony-smooth taste with a green tea lift. Flat Belly is the perfect mid-afternoon refresher, perfect for curbing any late afternoon cravings; it’s ideal as a cold brew with its hibiscus-tart and licorice-sweet minty taste. Twilight Rose has a sleepy swirl of chamomile, rose and peppermint, and it’s ideal for relaxing the body, restoring the senses, or sitting back and enjoying a sunset. The Matcha tea can be brewed any time you need to get a pure shot of green tea goodness. In addition, Simple Steeps are sugar-free, gluten-free and contain no added flavorings or preservatives. 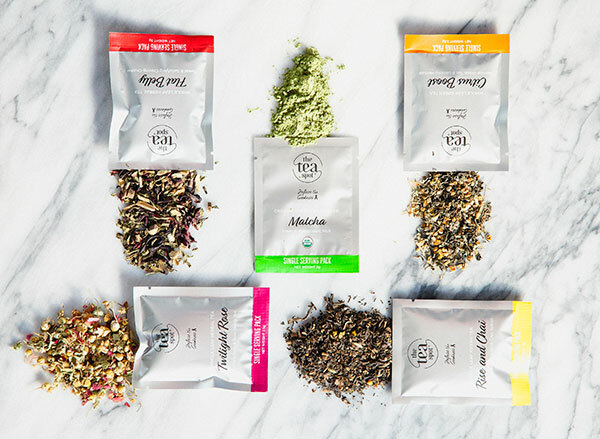 The Simple Steep product line is retail-ready packaged and best paired with The Tea Spot’s Steepware products, to make on-the-go, whole-leaf brewed tea possible. The Steepware line infuses tea tradition with modern technology, to make loose tea steeping simple and stylish. The teaware line includes an array of tea infusers, tea mugs and teapots with infusers, such as the Mountain Tea Tumbler. Many of these innovative products were designed by Uspenski, a tea expert, author of Cancer Hates Tea, an outdoor enthusiast and a trained mechanical engineer, in addition to being founder and CEO of The Tea Spot. 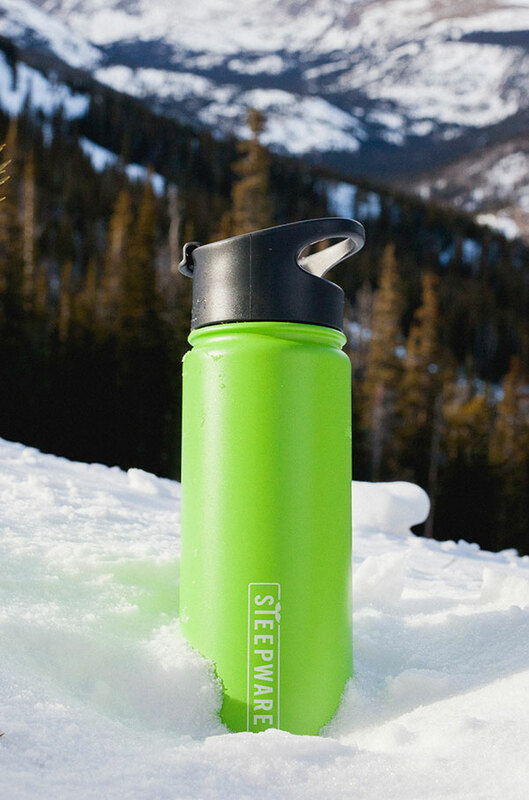 All Steepware products are lead-free and BPA-free with uncompromised quality. To learn more about The Tea Spot and its teas, Simple Steeps and Steepware, or to purchase online, visit http://theteaspot.com. Wholesale, corporate gifting and co-branding options are also available to organizations, including retailers, grocery and natural food stores, and the outdoor and fitness industry, among others. ABOUT THE TEA SPOT, INC. The Tea Spot, Inc. is a leading producer of handcrafted loose leaf teas and creator of Steepware®—the housewares tools that make loose tea easy. 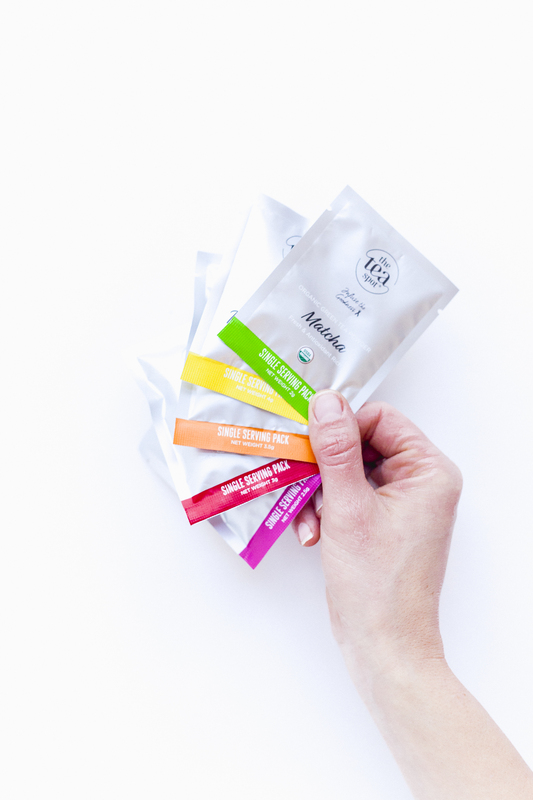 Its vision to modernize the loose leaf tea experience has held steadfast since the for-profit philanthropic company was founded by Maria Uspenski in 2004, a cancer survivor drawn to the health benefits of leaf tea during her recovery. Her message is simple and powerful: Tea in its freshest form renders premium flavor, unmatched health benefits, and is eco-friendly. The company's model of social entrepreneurship incorporates its mission to foster health and wellness through loose leaf tea with its 10% Pledge. Ten percent of every sale made is donated in-kind to cancer and community wellness programs. The Tea Spot is a Boulder, Colorado-based woman owned and operated business. More at http://theteaspot.com.